Tilbehør Modular tent / hall / marquee for sale! 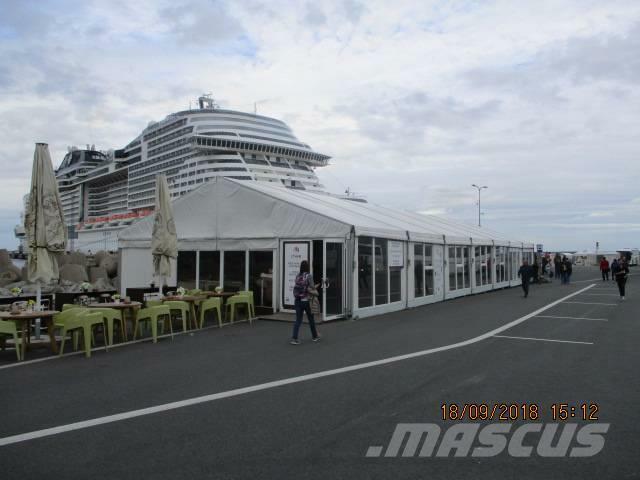 Used modular Tent Giulio Barbieri 10x28x3m. Walls aluminum profile and glass. Roof PVC. Wooden floor included. Tent is disassambeled and ready for transport! For more information please call or write.